Oriental rugs are made in ‘Oriental Countries,’ and they serve numerous purposes. Most of the countries that manufacture oriental rugs or carpets are mostly Islamic although other non-Islamic countries do produce them too. Examples of where oriental rugs come from include Iran, Turkey, Pakistan, and Russia among others. They are knotted by hand. I’m sure this has surprised you, but it is true. Manufacturers of oriental rugs do not use machines to manufacture them. They do it by hand. This is something that sets it apart from the other carpets. The reason people love oriental rugs is that their colors, they are intricate and the way in which they are weaved is a display of excellent craft. Not every carpet or rug that has the name ‘oriental’ is handmade. Those written ‘Oriental style’ are made using machine rugs. Some manufacturers try to take advantage of the great market for oriental rugs and try to pass those made by machines as such. Whatever rug is not hand-knotted doesn’t qualify to be an oriental rug. It is possible to find irregularities with oriental rugs because of the mere fact that they are hand-knotted. Anything hand-made has a possibility of error because humans are not perfect. An oriental rug with a mistake does not mean an amateur made it. Even the best weavers and knitters can make mistakes sometimes. If you check the knot in an oriental rug, you will realize that their sizes are approximately 50-1500 for each square inch. The value of oriental rugs does increase with time. However, this applies to those that are handmade because people know their value and the skill, effort, and expertise that goes into making them. In the end, they are beautiful art that attracts people to buy them. Many people believe that the heaviness of an oriental rug determines its durability and the heavier, the better. This is not true. 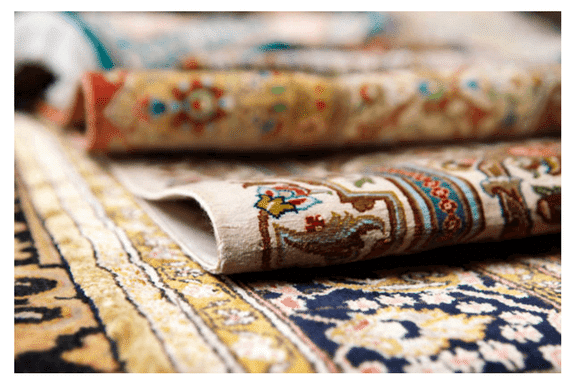 There are so many things that are involved in manufacturing oriental rugs and the various factors influence its durability. In reality, thin oriental rugs have been discovered to be excellent. It is fun to learn about a particular kind of rug before you buy it. I hope your current knowledge of oriental rugs has made you fall in love with them more. These rugs are excellent, and the fact and the fact that people sit down to make them step by step is very cool. Chem-Dry by the Millers offers professional cleaning services for homes and businesses in Eastern Pennsylvania. We pride ourselves as the healthy alternative to steam cleaning. Call 1-800-378-4030 for more information.